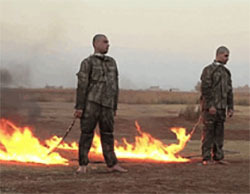 Two Turkish soldiers who were captured by ISIS, a moment before they are executed by burning (Haqq, December 23, 2016). The suicide bomber on his way to the target, south of Tal Afar (Aamaq, December 21, 2016). The city of Aleppo is now under full control of the Syrian forces, with the assistance of a Russian Military Police battalion which arrived in the city. The Syrian and Russian forces are now engaged in removing mines and IEDs, keeping order and providing medical care. Some of the residents reportedly began to gradually return to their homes. However, in view of the massive devastation, it can be assumed that it will not be a large-scale return. This week, there were no significant changes in the fighting in Mosul’s eastern neighborhoods. It seems that the Iraqi attack is “stuck” mainly due to ISIS’s fierce resistance. ISIS’s main “weapon,” also employed this week in east Mosul and throughout Iraq, was the detonation of car bombs by suicide bombers. On December 22, 2016, the Syrian News Agency reported that after the evacuation of the last remaining residents from east Aleppo, the entire city is in control of the Syrian regime forces. 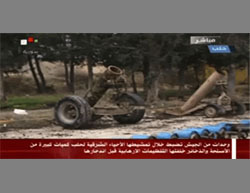 The Syrian forces are engaged in removing mines from the taken neighborhoods (Al-Manar, December 23, 2016). Concurrently, a Russian Military Police battalion of 400 soldiers arrived in Aleppo. Their missions include securing and keeping order in the city, assisting the Syrian forces, and securing the Russian coordination center and medical care personnel operating in the city (Sputnik, December 23, 2016). According to Staffan de Mistura, the UN special envoy to Syria, the evacuation of civilians from Aleppo and delivering humanitarian support are now on top of the priority list. He added that many of those evacuated from Aleppo had reached Idlib, and warned that Idlib might become the next Aleppo (Al-Arabiya; Sky News, December 22, 2016). Russia’s Defense Minister Sergei Shoiguupdated President Vladimir Putin on the completion of the operation to evacuate the people from Aleppo. 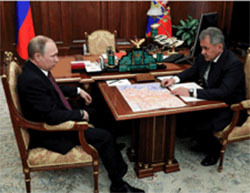 According to Shoigu, at the first stage, close to 110,000 civilians left [the eastern part of] the city, and about 9,000 rebels laid down their arms. At the second stage, close to 34,000 people, including women and children, left east Aleppo. The Russian defense minister also reported that 115 neighborhoods in the city had been liberated (the Russian Defense Ministry website, December 23, 2016). 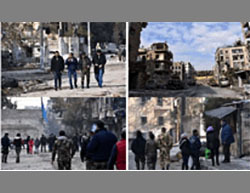 At the same time with the completion of the evacuation, some of the residents of Aleppo reportedly started gradually to return to their homes (Al-Hadath, December 24, 2016). 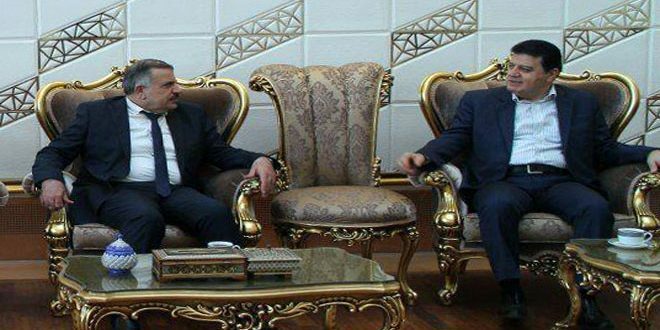 Arab media reported that for the time being, attempts to establish a new umbrella organization composed of 14 rebel organizations failed. According to estimates, the failure is mainly due to the refusal of the rebel organizations, with Ahrar al-Sham among them, to include the Fateh al-Sham Front (the former Al-Nusra Front, Al-Qaeda branch in Syria) in the united organization. According to “sources in the Syrian opposition,” pressure has been exerted on the rebel organizations both in the regional as well as the international scenes to reject the unification of the forces (Al-Sharq al-Awsat, December 23, 2016). This week, clashes took place between the Syrian Army and ISIS operatives in the area of the village of Al-Sharifa, about 9 km west of the T-4 military airfield. The Syrian Army and militias supporting it reportedly sustained 13 fatalities. Thus, the number of fatalities among the Syrian Army and militias supporting it reached 62 since December 19, 2016 (Syrian Observatory for Human Rights, December 25, 2016). Russian (or Syrian) fighter planes attacked ISIS positions in the area of the T-4 airfield and the entire Palmyra region. Al-Raqqah: The major fighting between ISIS and the Syrian Democratic Forces (SDF) moved this week from the area of Ain Issa north of Al-Raqqah to the area of Al-Tabqa, west of Al-Raqqah. The battles focused on the area of Jabar, about 5 km north of Al-Tabqa. The SDF managed to occupy the historic castle of Jabar. ISIS reported that thirty SDF operatives died when entering a mine field at the fighting area (Orient, December 25, 2016). ISIS sustained casualties as a result of coalition planes airstrikes in the Al-Tabqa region (Syrian Observatory for Human Rights, December 27, 2016). ISIS senior operative codenamed Abu Jandal al-Kuwaiti reportedly was killed (Hossein Mortada, December 27, 2016). Al-Bab:Free Syrian Army forces, as well as a Turkish Army force, continue to wage battles on the outskirts of Al-Bab. Turkey continued this week to carry out airstrikes against ISIS targets in Al-Bab and its environs (Anatolia, December 22, 2016). 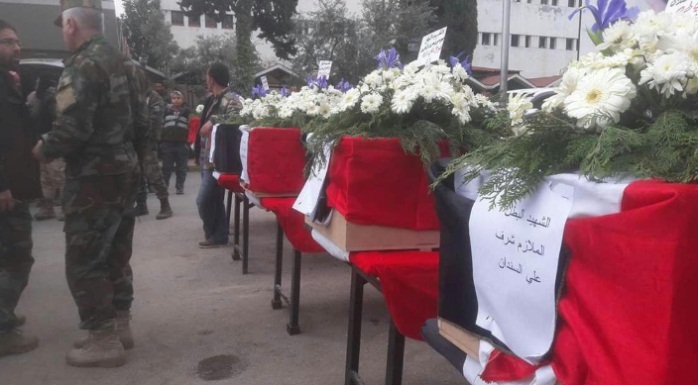 The Free Syrian Army sustained fatalities mainly due to mines laid by ISIS operatives (Akhbar al-Aan, December 26, 2016). Sixteen Turkish soldiers were killed in ISIS suicide attacks (one of the perpetrators of the suicide attacks was a Palestinian codenamed Abu Osama the Gazan). The Turkish minister of defense said that three Turkish soldiers had been captured by ISIS (Halab al-Youm, December 23, 2016). According to Turkey’s Minister of Defense Fikri Işık, during Operation Euphrates Shield (that started on August 24, 2016), an area of 2,000 km2 in north Syria has been liberated so far. Speaking about the losses of the parties, he said that 1,005 ISIS operatives, 299 Kurdish operatives and 35 Turkish soldiers died so far (Reuters, December 22, 2016). İbrahim Kalın, the Turkish president’s press secretary, called on the international coalition countries to support the fighting in Al-Bab (Al-Arabiya, December 26, 2016). ISIS’s Aleppo Province released a video entitled “Cross Shield” (alluding to “Euphrates Shield,” the Turkish operation to liberate the region west of the Euphrates). The video denounces Turkey’s activity against ISIS and its support of the West. 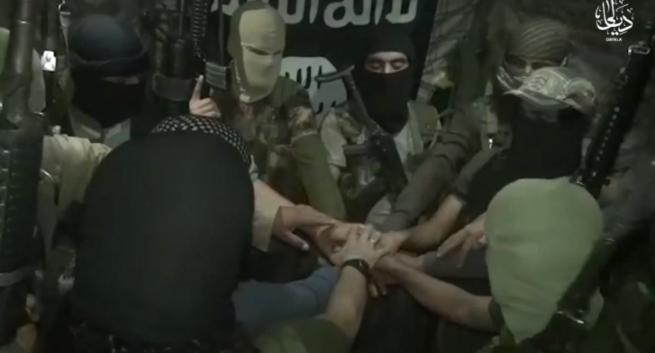 A Turkish-speaking ISIS operative threatens that the Turkish government will pay a heavy price for its attacks, describing Turkey as a “territory of jihad.” At the end of the video, two Turkish captives are seen imploring Turkey to withdraw its forces. They are then seen burned alive by ISIS (Aamaq News Agency, December 23, 2016). According to ISIS, the two soldiers were executed by burning the same way Turkey burns Muslim civilians, including women and children, by its airstrikes in Al-Bab (Haqq, December 23, 2016). The Iraqi Army continued its slow advance in Mosul’s eastern neighborhoods. There were no significant changes on the ground this week. According to several reports, the Iraqi Army stopped its activity in the city for several days in preparation for a massive attack that it is planning (Facebook page of the Nineveh Information Center, December 24, 2016; Al-Sumaria, December 21, 2016). The Iraqi Army also reinforced its troops northeast of the city (Al-Aan Channel, December 24, 2016). According to Iraqi sources, ISIS delivers reinforcements and equipment to east Mosul from the western part of the city using boats to cross the Tigris River. Each of these boats carries 5-7 operatives. 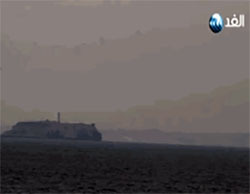 ISIS makes use of boats to escape the airstrikes of the coalition countries and as an alternative to the bridges on the Tigris River destroyed in the airstrikes (Rai Al-Youm, December 26, 2016). In the east Mosul neighborhood of Kawkajli, three car bombs exploded, causing casualties (Al-Jazeera, December 22, 2016). ISIS claimed responsibility (Aamaq News Agency, December 22, 2016). The Iraqi government declared a curfew in the area and vehicle traffic was not allowed on the streets (al-Arabiya, December 22, 2016). In the northeast Mosul neighborhood of Al-Falah, an ISIS suicide bomber codenamed Yusuf the Russian detonated a car bomb among a crowd of Iraqi Army soldiers. As a result of the explosion, a tank and three vehicles carrying Iraqi soldiers were destroyed (Haqq, December 24, 2016). In the east Mosul neighborhood of Al-Intisar, a suicide bombing was carried out by a terrorist codenamed Amar the Iraqi. A car bomb was detonated near a house where Iraqi soldiers were staying (Haqq, December 26, 2016). According to UN officials, four Iraqi welfare employees and seven civilians were killed as a result of mortar (or rocket) fire at a humanitarian aid site in an area liberated by the Iraqi Army in Mosul (Reuters; Al-Hayat, December 22, 2016). In the city of Baghdad, three IEDs were detonated, reportedly killing and wounding 19 people. The Aamaq News Agency reported that ISIS operatives detonated two IEDs against two cars of the Popular Mobilization forces in southwest Baghdad. Seven people were killed as a result of the explosion of a car bomb in Ramadi (Al-Jazeera, December 24, 2016). ISIS claimed responsibility for the attack and reported that eleven members of the Iraqi security forces were killed in the explosion. 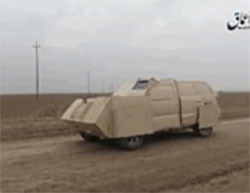 South of Tal Afar, an ISIS operative carried out a suicide attack using an armored vehicle against operatives of the Popular Mobilization forces. On December 24, 2016, a suicide attack was carried out in the city of Al-Khales, about 60 km northeast of Baghdad. The attack was carried out by a car bomb which included about 200 kg of explosives. Four Iraqi policemen were killed (Al-Sumaria, December 25, 2016). At the beginning of the interview, Abu Hajer speaks about his predecessor, Sheikh Al-Ansari, who was killed by the Egyptians. By speaking about that, he actually confirms that he has been appointed as his replacement after he was killed. According to Abu Hajer, the actions of the Egyptian security forces against ISIS intensified the capabilities of his men, and they now have about 170 caches of weapons and ammunition. Hajer al-Hashemi claims that so far, Israel has intervened by airstrikes and this is how Israel sought to eliminate ISIS’s presence [in the Sinai Peninsula]. According to Al-Hashemi, the Jews are in a state of confusion. Although they are making use of the best weapons and technology, they suffer from lack of knowledge as to the real situation in Sinai. The Jews, he says, are spending too much money to protect their “fake border,” which is due to disappear (Al-Naba, December 21, 2016). 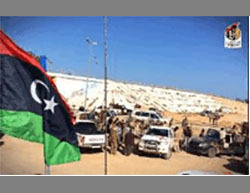 Following the announcement by Fayez Mustafa al-Sarraj, Chairman of the Presidential Council of Libya and Prime Minister of the Government of National Accord, on the termination of military operations in Sirte, the US Army Africa Command announced the termination of American air support for the Government of National Accord. According to the announcement, since the air support began, on August 1, 2016, US planes carried out 495 airstrikes against ISIS targets in Sirte (AFRICOM website, December 20, 2016). Now that the takeover of the city has been completed, forces loyal to the Government of National Accord are carrying out extensive searches in the area south of Sirte. The searches are carried out with air support by Libyan Air Force planes (Facebook page of the information center of the campaign over Sirte, December 20 and 22, 2016; Al-Wasat, December 24, 2016). In the area of Al-Sawawa, east of Sirte, the forces killed an ISIS operative who was attempting to carry out a suicide bombing attack with an explosive belt (Al-Jazeera TV, December 26, 2016). The perpetrator of the vehicular attack in Berlin (December 19, 2016) was killed after a five-day manhunt. The fugitive terrorist, Anis Amri, was shot dead by police officers in Milan, Italy. Italy’s interior minister confirmed that the man killed was undoubtedly the perpetrator of the vehicular attack in the Christmas Market in Berlin. The German authorities announced that the dead man’s fingerprints matched those found in the truck used for the vehicular attack. 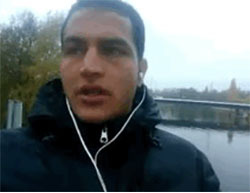 Anis Amri was caught in a Milan suburb after two police officers approached him and asked him to show them his papers. Amri had no papers (he had left them in the truck). He claimed that he had come to Milan from southern Italy. The police insisted that he produce an ID. He took out a pistol and shot one of the policemen. The other policeman returned fire and hit him. The terrorist died of his injuries a few minutes later. Amri apparently came to Italy from Germany via France. At the same time, the Tunisian Ministry of the Interior announced that security forces had arrested three suspects associated with Anis Amri. The suspects include his nephew, who was in contact with him on social media, sent him money and spoke with him about his pledge of allegiance to ISIS (BBC News, December 24, 2016). 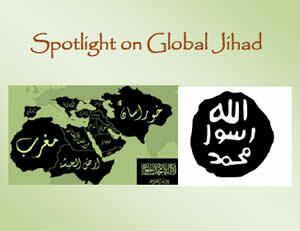 On the day Amri was caught, ISIS released a video showing Anis Amri pledging allegiance to ISIS leader Abu Bakr al-Baghdadi and calling for revenge on the “Crusaders”because of their attacks against Muslims: “I call on my brothers everywhere, those in Europe, kill the Crusader pigs, each according to his ability (Aamaq News Agency, December 23, 2016). According to a report by ISIS’s Caucasus Province, several operatives exchanged fire for two days with security forces in central Grozny, Chechnya, and then carried out a suicide bombing attack. Members of the security forces were killed and wounded in these incidents (Haqq, December 21, 2016). ISIS’s Caucasus Province has claimed responsibility for two attacks on two Russian police checkpoints in Dagestan. According to the announcement, the attacks killed at least four policemen and wounded others. The ISIS operatives reportedly returned to their base unharmed (Haqq, December 26, 2016). This week, a Moscow court sentenced Varvara Karaulova, a 21-year-old college student from Russia, to 4.5 years in prison for attempting to join ISIS. According to the court ruling, Karaulova tried to join ISIS and carry out a suicide bombing attack in Russia in the name of the organization (RT, December 22, 2016). Ilyas Umakhanov, Deputy Chairman of the Russian Federation Council, told Russian media that according to information they obtained, ISIS and other terrorist organizations are preparing a hit list of Russian diplomats. Umakhanov called for increased security around Russian diplomats, their staff members and their families around the world (Sputnik, December 23, 2016). 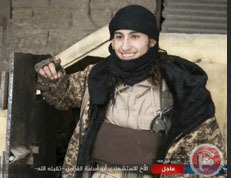 ISIS continues to call on its supporters to carry out attacks against targets affiliated with the international coalition countries, especially the United States.An ISIS operative codenamed Abu Maraya the Iraqi posted a message on ISIS’s social network claiming that ISIS intends to deploy lone wolf terrorists on New Year’s Eve. 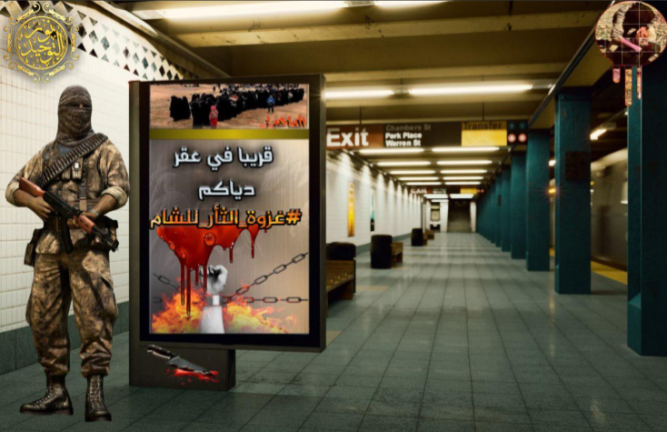 ISIS has also used social media to publish instructions for lone wolf terrorists on making weapons and explosives, along with details of thousands of places affiliated with Christianity in the United States. In view of these calls and the attack in Berlin, the FBI and the US Department of Homeland Security issued a warning about the intentions of terrorist groups that support ISIS to carry out terrorist attacks in crowded places during the holidays (ibtimes.co.uk, December 24, 2016).